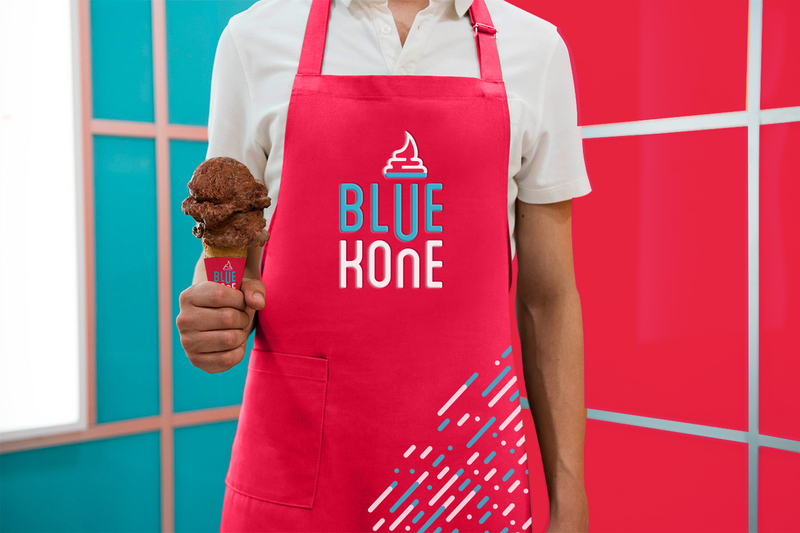 Created a cool design language for this premium ice cream brand. Once the world of ice cream broke free from vanilla and chocolate flavors, a vast arena of unexplored flavors awaited it. 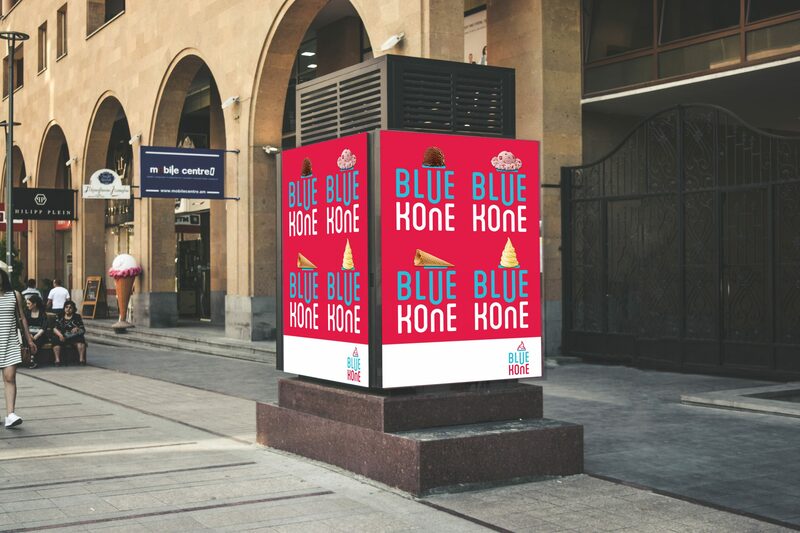 Aiming to pioneer this tasteful landscape, Blue Kone sought our help to create a stand-out design language for them. 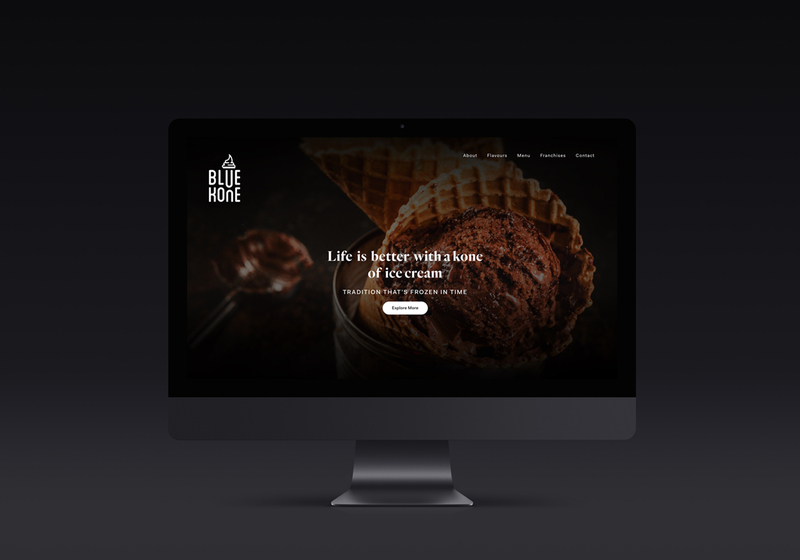 We wanted to create something that was perceived as an extension of the product – the ice cream. 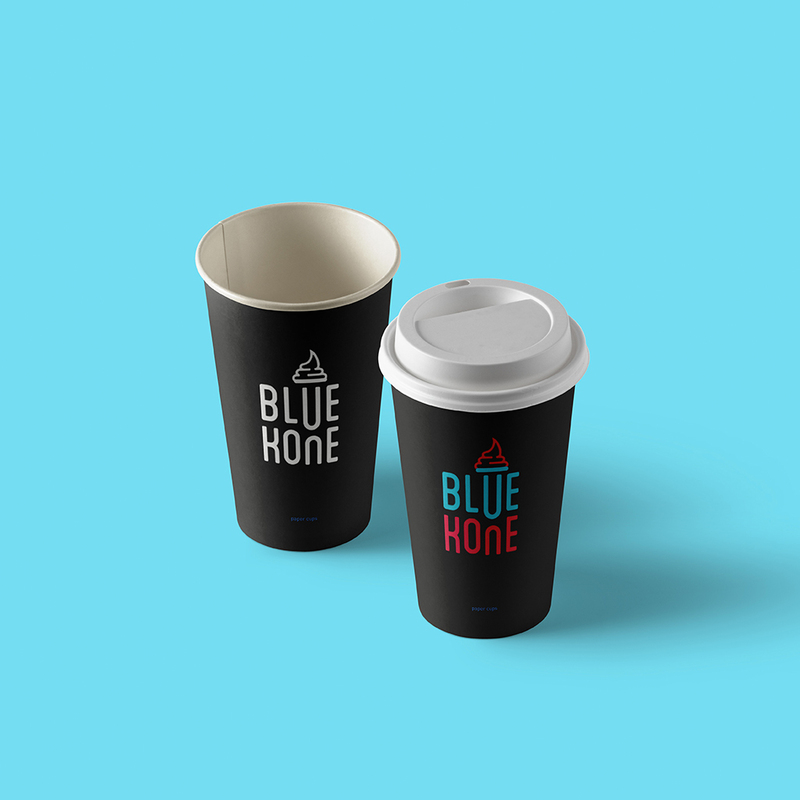 We chose the color Blue to represent the first half of the brand name. 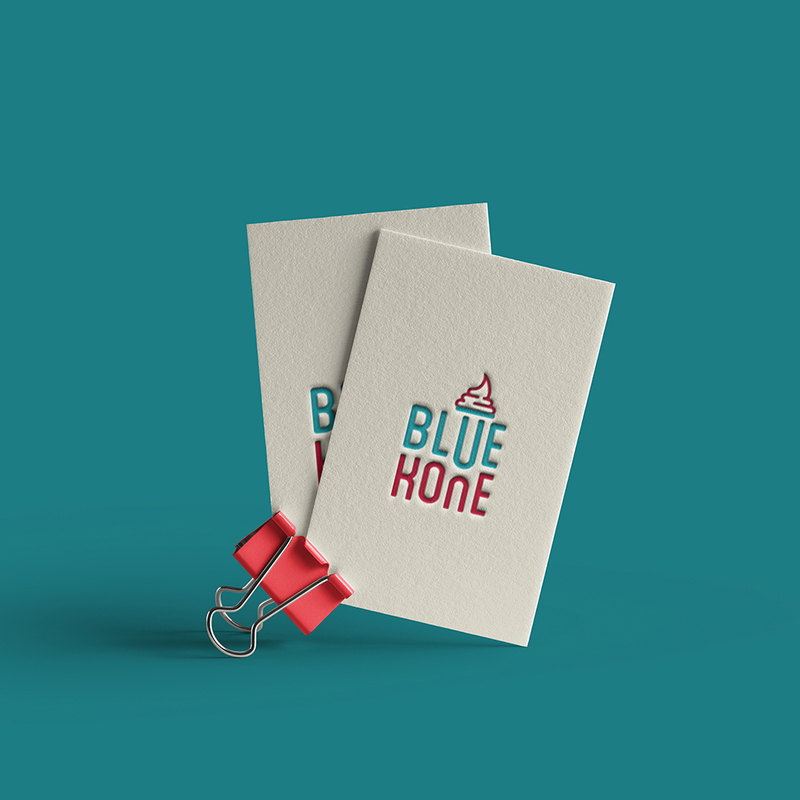 The cool blue tone was used to invoke a sense of cold and chill, as one would naturally associate with an ice cream. For the second half of the name i.e. 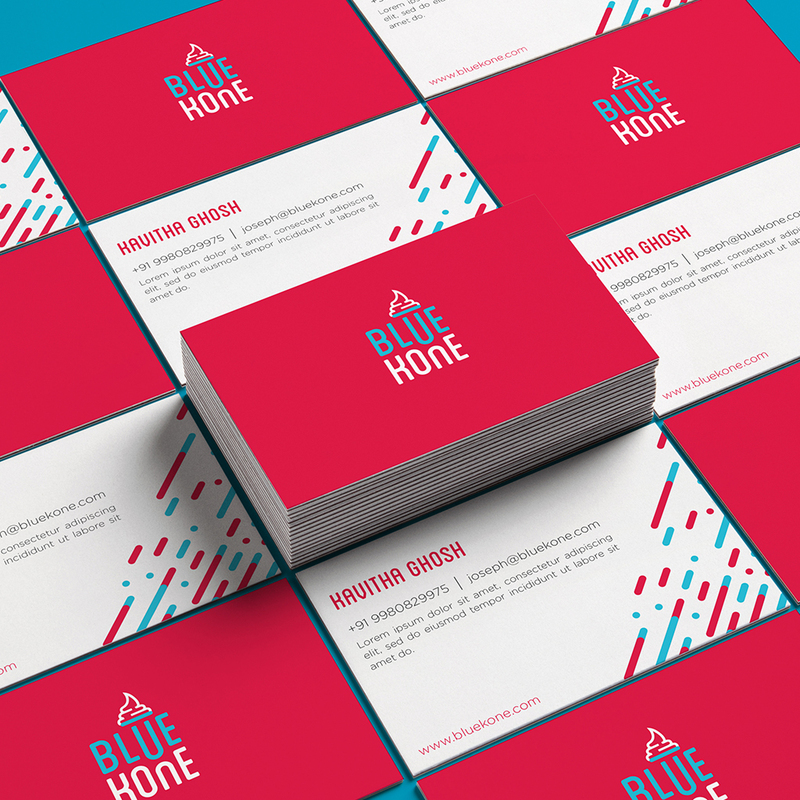 Kone, we decided to use a contrasting magenta tone to create a vibrant and youthful imagery. 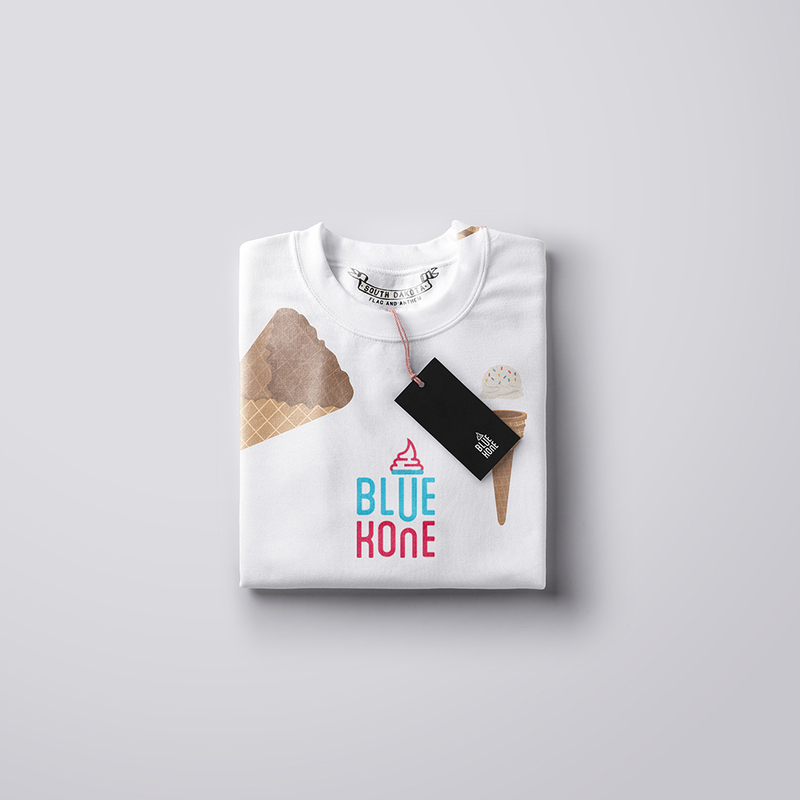 The two colors blended organically and carried a sense of ‘there’s more to this ice cream’. As a top up, we added a simple and easily understood illustration of the characteristic ice cream swirl, (that changes with communication indicating diversity in flavors) on top of the letter U. Together they look like a typical ice cream cone.